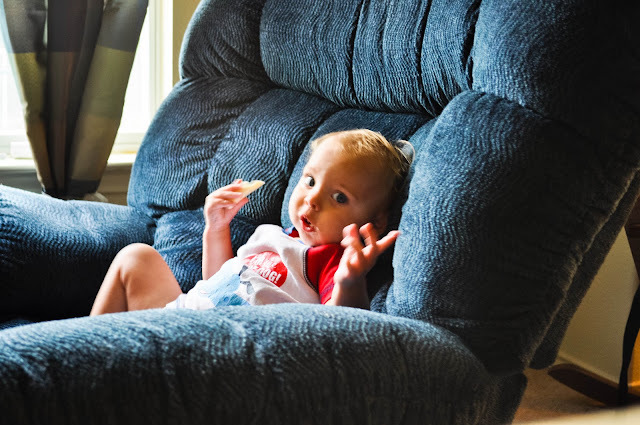 After family swim time Micah wanted up in Daddy's big comfy chair to eat his post swim snack. He just sat and reclined eating his snack content to be sitting like a big boy in Daddy's chair. Not the greatest image since the light from the window always throws off the lighting whenever I try to take pictures of anyone in that chair but I like it.